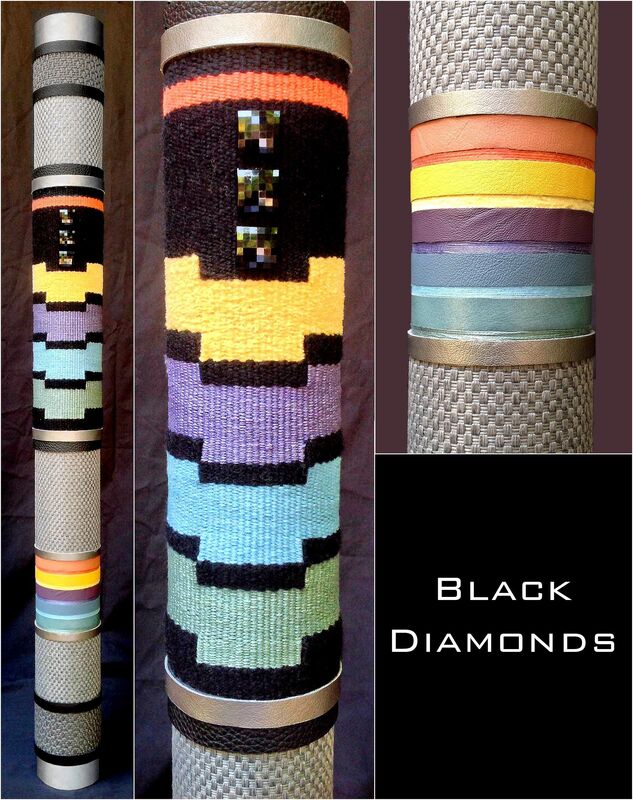 This piece is entitled "Black Diamonds". 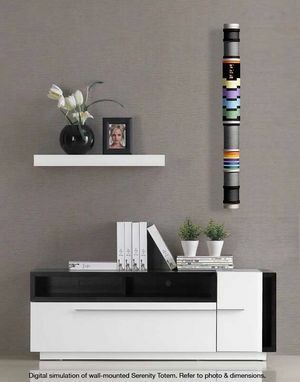 It's from our handwoven Serenity Totem Series of contemporary, one-of-a-kind, cylindrical, 3D, mixed-media, fiber sculptures. It features a unique handwoven full-weave element we conceived and created exclusively for the piece, and finger-woven by Kathy on one of her custom lap looms.. It also includes beautifully blended, specially selected, up-cycled components of Couture remnants, reimagined leather cuttings, 'found' black glass crystals, and reclaimed windings of luxurious mercerized cotton yarns. The final design was created by Rob on his MAC CAD station. This garauntees a tight, accurate final fabrication, for a gorgeous high quality piece. Rob also does the final assembly of the piece.